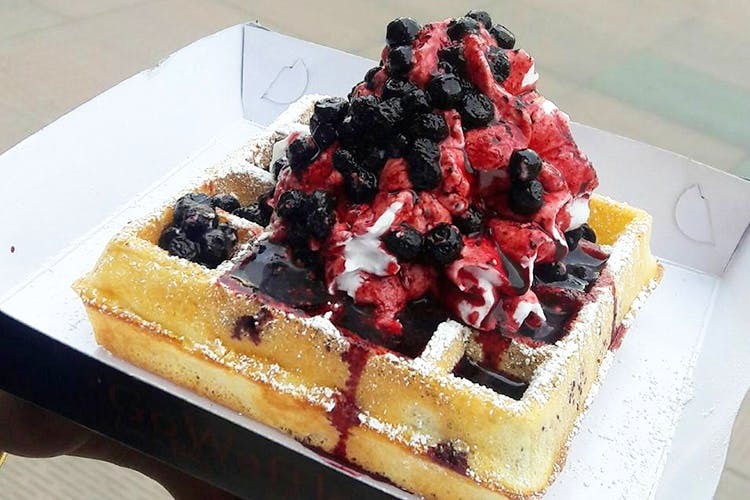 There’s a new food truck on the streets and this one does just waffles. The Belgian kind of waffles. With toppings so yum, your sweet cravings will go mum. Priced between INR 150 and INR 220, these waffles hit the sweet spot with their flavoured toppings, and powdered sugar and whipped cream finishing. The truck is usually parked around tech parks on weekdays while on weekends they are either at events or near Hennur Road. You can follow them around by liking their Facebook page here. We like them a waffle lot. And we can’t wait to try them mango waffles. Or the smoothies that they are planning to launch soon.